Sometimes we have problems with the Wi-Fi: The signal is too weak, the speed is too slow, you don’t have coverage in certain areas of your home or office, or you may even have too many noise sources around you. This review is about an app that will let you get all the information you need about Wi-Fi coverage, signal strength, noise-level and much more. Keep reading! 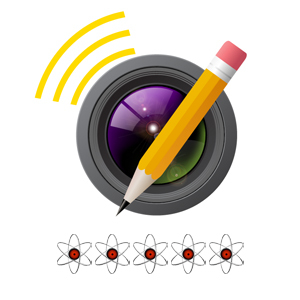 The incredible app we are talking about is NetSpot, an app from Etwok. 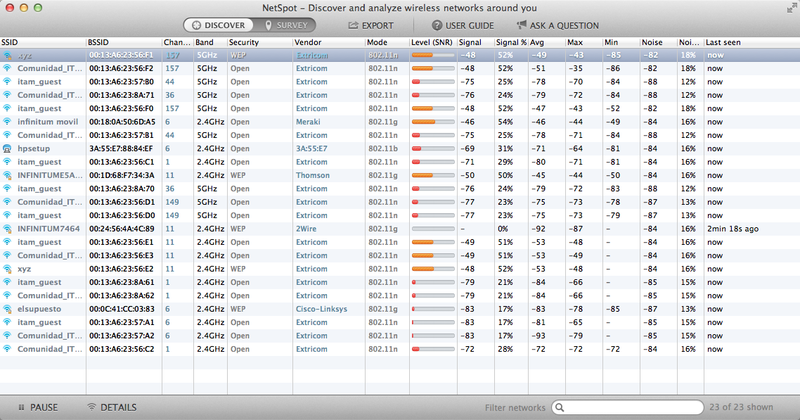 NetSpot is the only professional app for wireless site survey, Wi-Fi analysis and troubleshooting on Mac OS X. 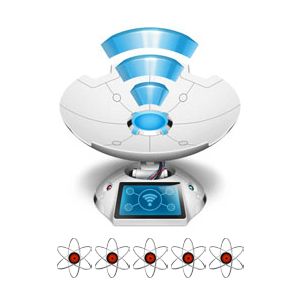 There isn’t anything better than this when it comes to fully analyzing Wi-Fi signals, hotspots and routers. It has a lot of functionalities that will suffice even the most demanding users. 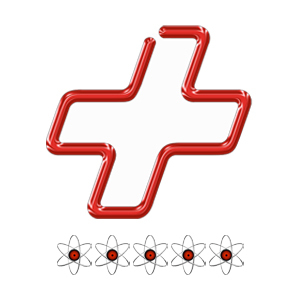 Here we will present you some of the functionalities available in the FREE version, and of course we will include functionalities of the PRO version, so you can decide for yourself if upgrading or not. This is the basic feature of NetSpot. It lets you obtain data from all detected Wi-Fi networks around you, and displays them in a very convenient list, with columns including SSID, BSSID, Band, Type of Security, Vendor, Mode, Signal Strength, Noise, and more. With this tool you will be able to quickly locate the best network available for you, and troubleshoot some of the typical problems related to intermittent connectivity. This is the main functionality of NetSpot. In few words, it lets you create a virtual representation of an area (i.e. a room, an office, an auditorium and even open spaces, like parks), and then scann for networks in the area to create a representation of them with several visualizations. First, the area design. You have 4 options: Create a new area, open a previously created area, use a sample, or make your area from a completely blank map. If you want to create your area, you will be asked for the measures of the room, and then you will have some tools to draw it, like Line, Polyline, Rectangle, Circle and more. 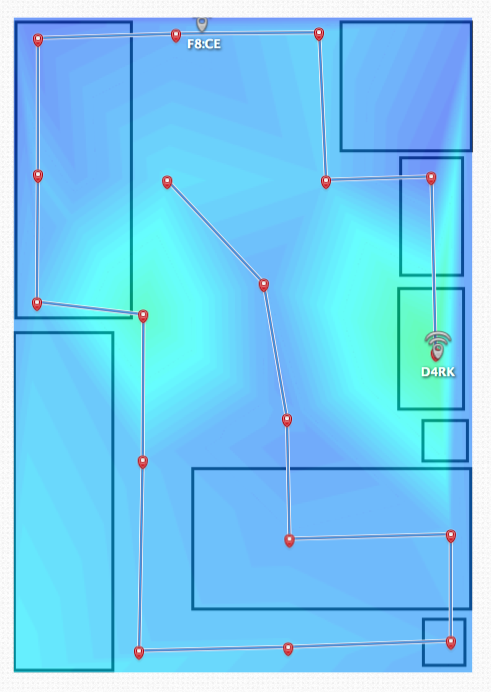 After you create it, you can start scanning the area for networks, moving through the room and clicking on your map your real position, so your computer scans the Wi-Fi networks around you. 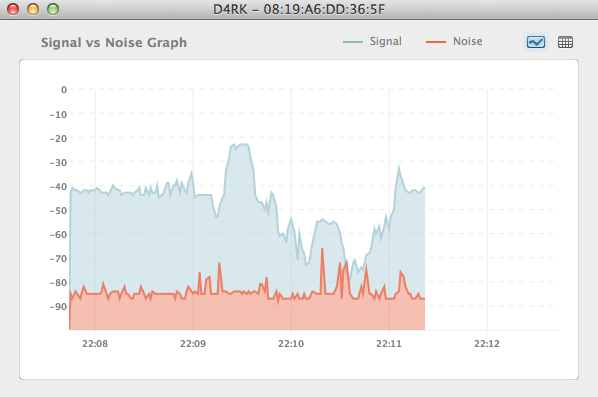 Then you can stop scanning and you will be presented with some visualizations of the networks in the area. This feature lets you select multiple networks and perform advanced analysis, like measure the upload/download speed of a network in each scanned point. Very useful when you want to select the best location to place your router or modem, so all your electronic devices get the best out of your connection. As the name suggests, this option will let you analyze access points located in different floors and how they affect each other. This option is great for offices or workplaces, as in great buildings there are a lot of access points in each floor, so you have to take that interference into account. Probably one of the best tools in PRO Version, let’s you run automatic troubleshooting on networks based on surveys, so you get information about how to solve the problems present in you area, like excessive noise, signal level too low, interference and much more. 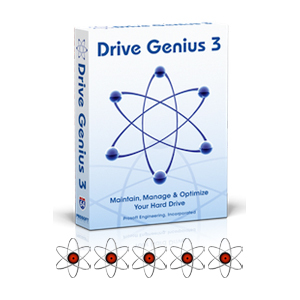 Of course, PRO Version allows you to use this software in business environment and for commercial uses. 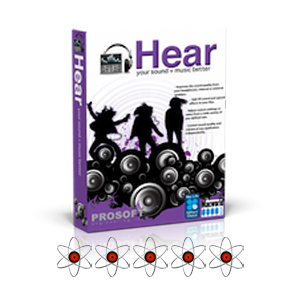 If you are interested in this great software, click here to get to official download site! feel pressured to do so. in it or something. I think that you simply can do with a few p.